Unmanned Systems are becoming an integral part of both military and commercial operations and their presence in the aviation sector is now becoming a significant factor. Many companies are now using UAV’s to collect airborne data in a widening variety of formats and whilst multirotor platforms are widely used, we believe that fixed wing systems are more effective where large areas and distances are involved. As the technology matures and system reliability improves to an acceptable level for extended range operations, Regulators will require tighter controls and Operators will, in turn, be required to put forward strong safety cases to support their operational cases. This will be underpinned by the necessity for suitably qualified and experienced pilots and in turn, drive the requirement for comprehensive training programmes. GPA has a team of highly experienced and qualified professionals, all of whom have been in the unmanned industry for many years. The Company is well placed to offer guidance and assistance to clients wishing to embrace this exciting technology and allowing them to enhance their business objectives. 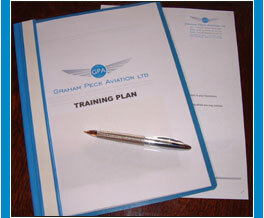 This can include simulator based programmes where training solutions for the larger fixed wing platforms are required.